Situated in the heart of Denali National Park, our location is essential to our uniqueness. Camp Denali and North Face Lodge are two miles past Wonder Lake, near the end of the 92-mile Denali Park Road. We are the only lodging inside the National Park with views of Denali. Denali National Park, Alaska, encompasses six million acres of boreal forest, tundra, rivers, glaciers, and dramatic geologic relief, including the impressive massif of Denali. Standing at 20,310 feet, Denali is the centerpiece of the 600-mile Alaska Range, and the tallest mountain in North America. Mount McKinley National Park was originally established as a two-million-acre park in 1917 to preserve its wildlife. In 1980, under the Alaska National Interest Lands Conservation Act, Mount McKinley Park underwent a name change to become Denali National Park and Preserve, and tripled in size. At the same time, the original two million acres were designated as federal Wilderness. The expansion of the park in 1980 encompassed an area of old hills and tight valleys known as the Kantishna Mining District. A short-lived gold rush occurred in this area in 1906-07. The few prospectors who stayed led to a number of mining claims in the hills and creeks. Claims that were not successfully acquired by the National Park Service became privately-held land. Such is the history of the three neighbor lodges down the valley from us. Camp Denali and North Face Lodge, in contrast, are situated on homesteaded land, locations chosen for their terrestrial beauty rather than their subsurface mineral potential. 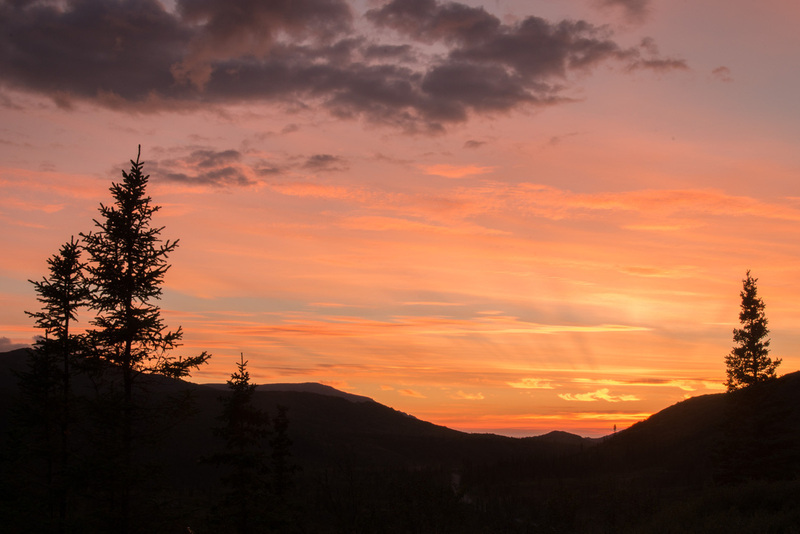 Our location between Denali's federally-designated Wilderness and Kantishna provides a profound wilderness experience. Indeed, the NPS is mandated to manage much of the Kantishna area as if it were federal wilderness. The intent of the NPS has been to maintain the remote character of Kantishna by limiting commercial development. Where else should you visit on your Alaskan adventure? Read more about Alaska itineraries.